Did you ever think about free way to increase your Facebook Page Likes and promoting your products? The CevherLink can help you in this way! 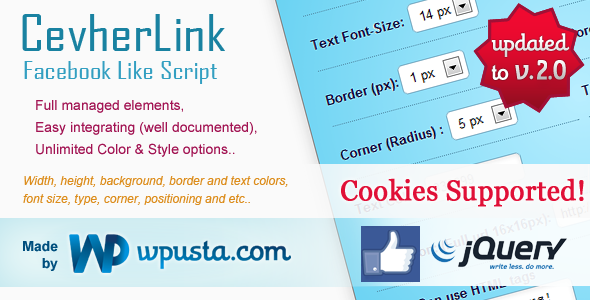 CevherLink is powerful Script to help you increase your Facebook likes and promoting your products! Itâ€™s perfect Viral Marketing tool and UPDATED TO V.2.0! Just look at our Demo.